Sometimes you know exactly what you want but at other times you only have an idea and are looking for helpful advice. Whether we are working with public or private organisations, multi-national companies or self employed businesses, being local means that we are always on hand to offer assistance to help you identify your requirements and ensure they are completed to the highest standards. 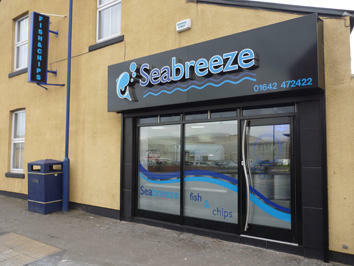 When the owners of Seabreeze, Nicola & Kevin Atkinson, needed to upgrade their business image they decided to call on Dave for advice. By discussing their requirements and exploring what was available the new look was chosen and production began.